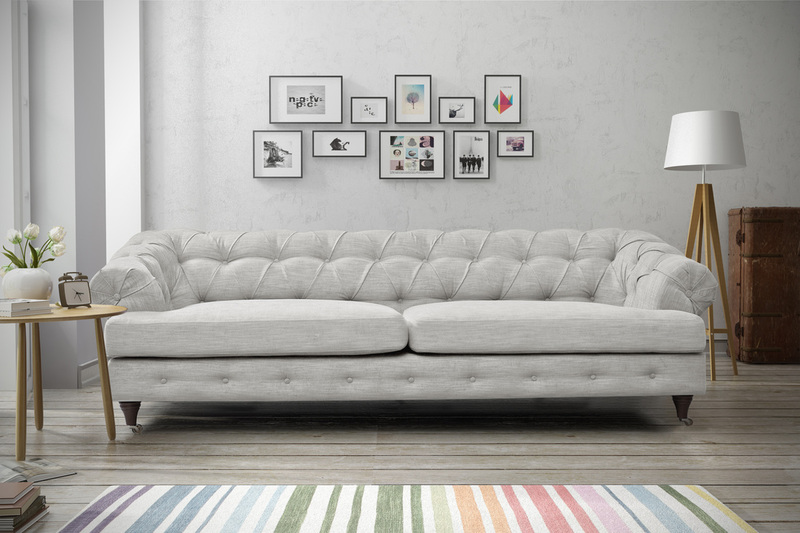 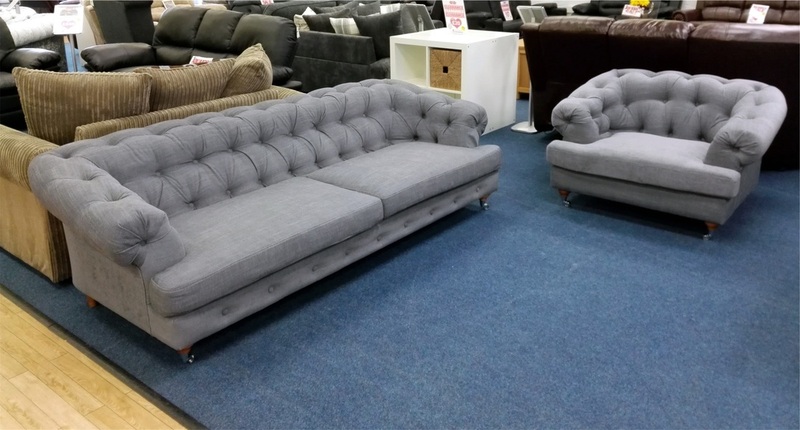 ​Our Mayfair Chesterfield range of high-end fabric sofas features buttoned arms and back, distressed look wooden feet and wheeled front feet. 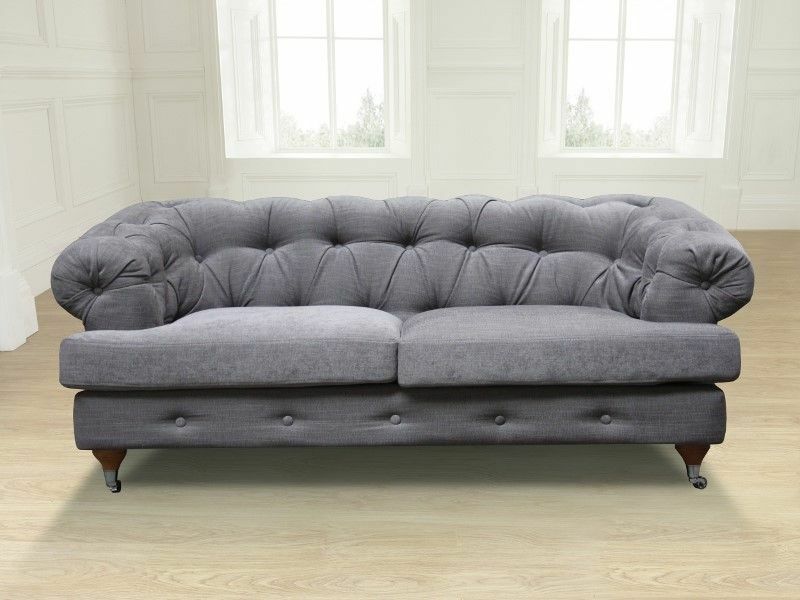 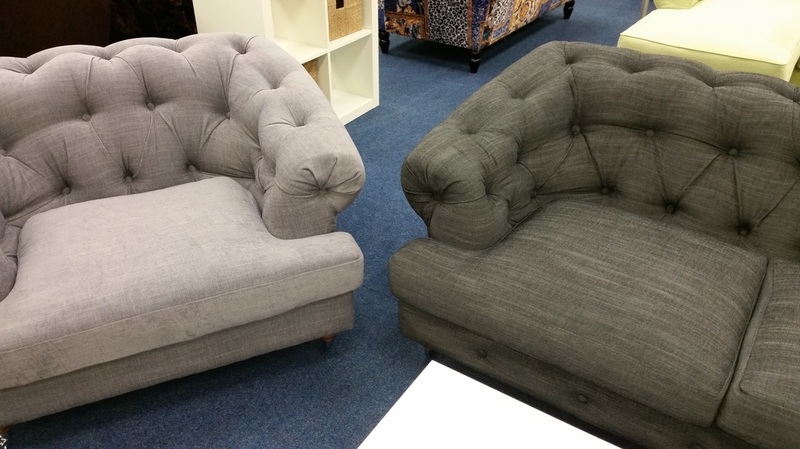 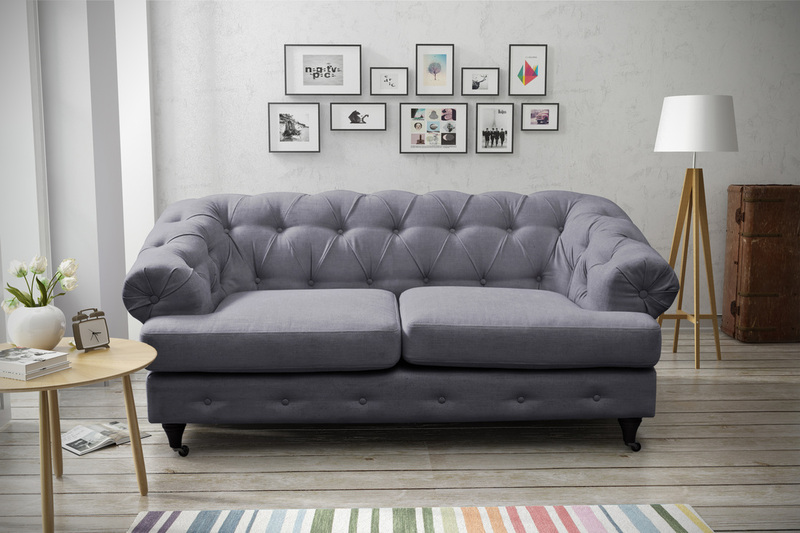 The classic Chesterfield style has been enhanced and redeveloped to produce our amazing Mayfair Chesterfield Range. 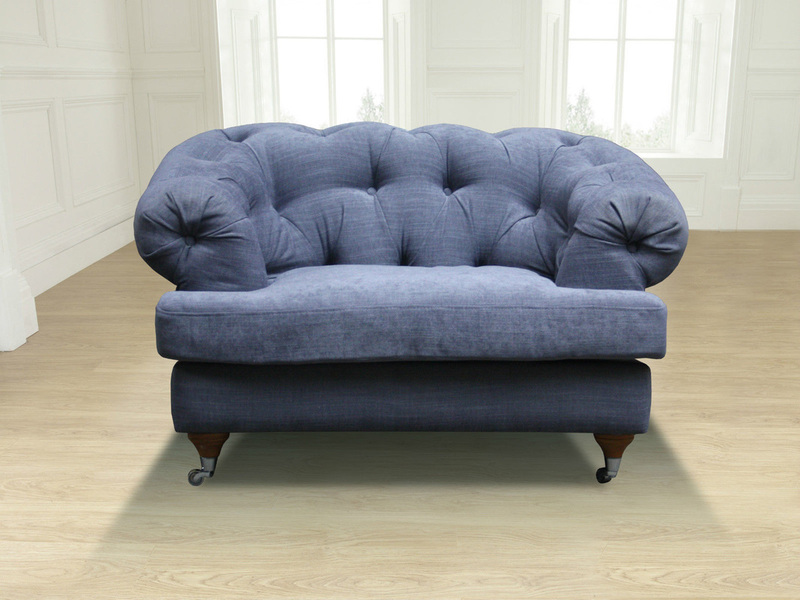 Quality fire-proofed dense foam and pocket springs ensure a very comfortable seat.